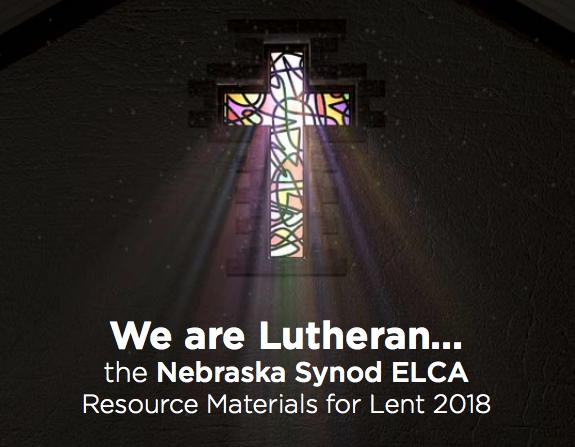 Continuing the goals of the Nebraska Synod Strategic Mission and Vision plan adopted at the 2015 Synod Assembly, congregations across the synod are invited to explore the question “What does it mean to be Lutheran” during Lent 2018. The suggested starting point for this conversation is during midweek Lenten services but the materials are highly adaptable to other settings depending upon your ministry context. A weekly framework that includes Lutheran Confessional references, past and present theological perspectives, questions directed toward the future, and connections to scripture, hymnody, and catechesis. -Five original dramas with connections to Luther, the Reformation, and the catechism. A copy of the resource booklet is being sent to each Nebraska Synod congregation. The resources, along with accompanying coloring sheets, may also be downloaded below.